With the progress of SMT technology every day more and more devices use this type of chips. This include memory EPROM, EEPROM and FLASH. 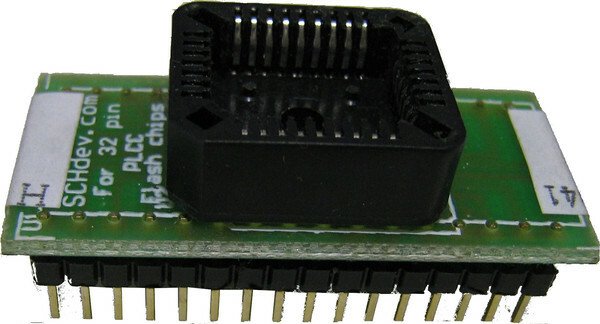 This simple adaptor and of very low cost is usefull and required to reprogram PLCC chips of 32 pins. Ideal for PC reparator, car tunning mechanics and etc.